Supposedly, this beautiful Victorian home -- built in 1887 -- has been featured in over 20 productions since 1980 alone. I'm only familiar with of one of them. Can you name the movie featuring this gingerbread residence? It's the house from House (1986), right? It bothers me how well I know the roof of that house. E.S.A.D.D. is correct! 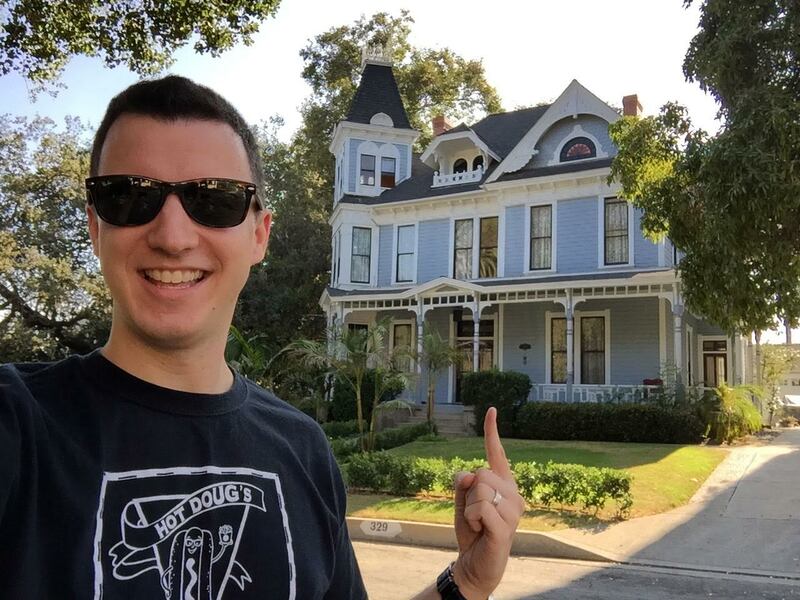 This is the spooky house from HOUSE (inherited by Roger Cobb [William Katt] following the death of his aunt), located on Melrose Avenue in Monrovia, CA. This house, also known as Mills View, has been featured in a ton of other projects, including a Halloween-themed episode of Picket Fences titled "Remembering Rosemary." It appears to be currently on the market. Should we all pool our money together?